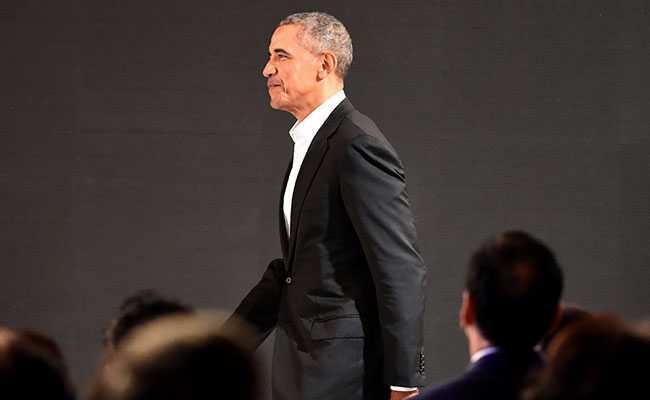 On Saturday, former US president Barack Obama will stump in southern California on behalf of seven candidates for the US House of Representatives, his office said. As president, Barack Obama was criticized for heavy Democratic congressional losses under his watch. Former US President Barack Obama plans to come off the sidelines to campaign for Democratic candidates across the country this fall, injecting himself into a contentious election season in which control of Congress is at stake. On Saturday, the two-term president will stump in southern California on behalf of seven candidates for the US House of Representatives, his office said. That state is critical to Democrats' hopes to capture 23 seats and take control of the House in November's congressional elections. "Now that he is out of office, Obama could provide some Democratic candidates a boost in parts of the country - primarily in states and districts where he was successful as a candidate himself," said Ford O'Connell, a Republican political strategist. Obama's schedule this fall also includes stops in Ohio, Pennsylvania and Illinois, his office said, all states he carried in his 2008 and 2012 victories. As has been tradition for former presidents, Obama has largely tried to stay out of the political fray during Trump's tumultuous first term as president, and his upcoming schedule will mark his most high-profile and aggressive effort yet to push back at the current occupant of the Oval Office. Democratic turnout, which tends to lag in non-presidential election years, will be a focus of Obama's campaign efforts, his office said. This year, Democratic enthusiasm has surged in response to Trump and his policies. Trump, who has been critical of Obama's tenure in office, has himself been campaigning heavily for Republican Senate and House candidates. On Thursday, Trump will travel to Montana and then to North Dakota on Friday. The president has warned that the loss of either the House or the Senate to Democratic control would derail much of his agenda and perhaps spark impeachment proceedings depending on the findings of Special Counsel Robert Mueller, who is investigating alleged ties between Trump's presidential campaign and Russian influence in the 2016 election. Obama "will make a pointed case in his speech on Friday, and on the trail this fall, that this moment in our country is too perilous for Democratic voters to sit it out," said Katie Hill, a spokeswoman for Obama. Obama also will "echo his call to reject the rising strain of authoritarian politics and policies," Hill said.